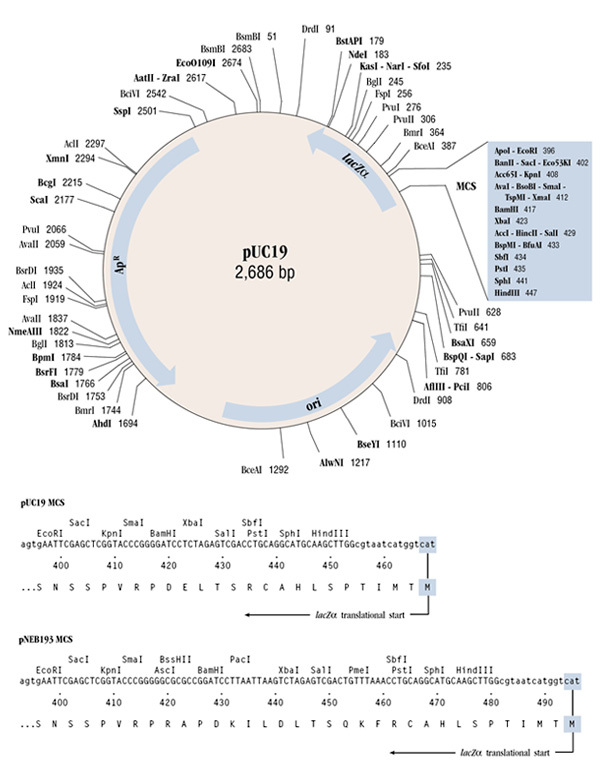 puc19 is a commonly used cloning vector that conveys Tet and Amp resistance. The molecule is a small double-stranded circle, 2686 base pairs in length, and has a high copy number. 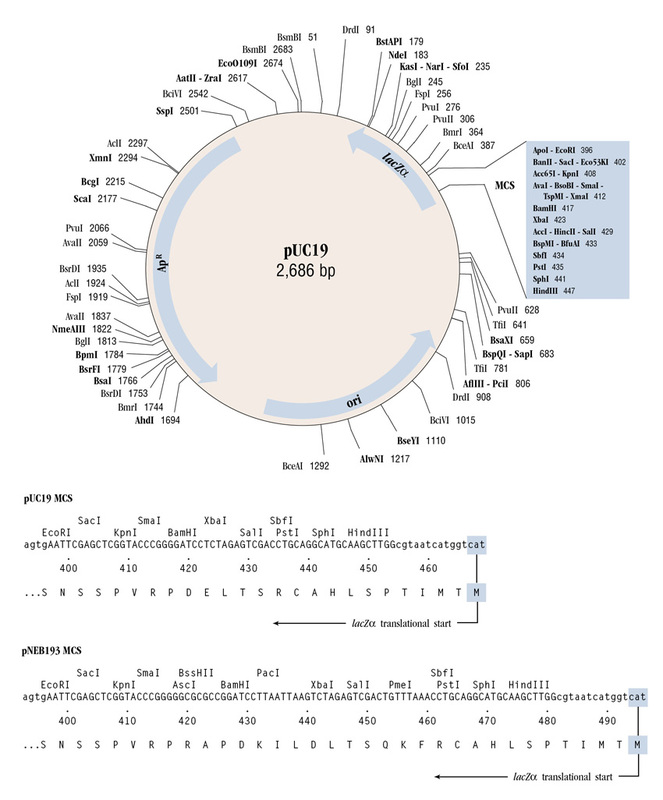 pUC19 carries a 54 base-pair multiple cloning site polylinker that contains unique sites for 13 different hexanucleotide-specific restriction endonucleases (1). NEB offers a selection of common cloning plasmids and DNAs for use as substrates. pUC19 is isolated from E. coli ER2272 (dam+ dcm+ EcoK M-) by a standard plasmid purification procedure.